A total of 31,14,821 registered students will be attending Class 10 and Class 12 CBSE Board exams this year. CBSE is all set to begin one of the largest annual school examination process in the world in two days. According to a statement from the Board, a total of 31,14,821 registered students will be attending Class 10 and Class 12 CBSE Board exams this year which includes 28 transgender candidates. The annual Board exams will be held in 4,974 centres across India and 78 centres abroad. 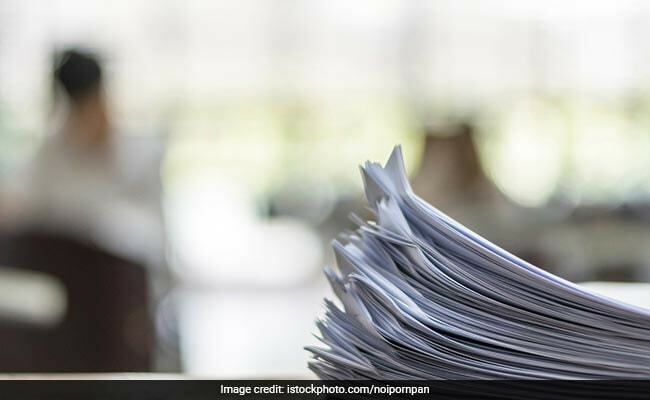 The statement from the Central Board of Secondary Education (CBSE) also said 3 lakh officials will be involved in the whole examination conducting process. The total 31 lakh students includes 18 lakh boys and 12.9 lakh girls. The exams are being held for students from 21,400 CBSE-affiliated schools in the country and 225 abroad. The exams will be held for the private candidates also. The CBSE Class 10 main papers will start on March 3 and will be concluded on March 29. Class 10 vocational papers will start from February 21. The Class 12 main papers will start from March 2 and will be over by April 4. The vocational papers of higher secondary students will kick off from February 15. As it happened during the JEE and UGC NET competitive exams, the Board will be webstreaming from examination centres live. TETRA or Theory Evaluation Trend Analysis, a decision support system, which will facilitate real time evaluation monitoring and also allows trend analysis and visualization of scoring patterns by students in different regions, cities and across different sets. OECMS or Online Examination Centre Management System has been developed and Implemented with a view to get real time exams centres related information.